A few weeks ago I was approached by an incredible woman who created a group to highlight the unheard (and often misjudged) stories of worldwide sufferers of Chronic Illnesses and unexpected life obstacles. Each subject differs between the type of problems faced, but we are each faced with a hardship and are united by one image – the window to our souls. It was an absolute honour to be asked to share my personal story, and I have been moved to tears by the stories of others. Campaigns/projects like these make me thankful for being apart of such an understanding community, and remind me of the inner strength we each have, but often forget, during the roughest of days. 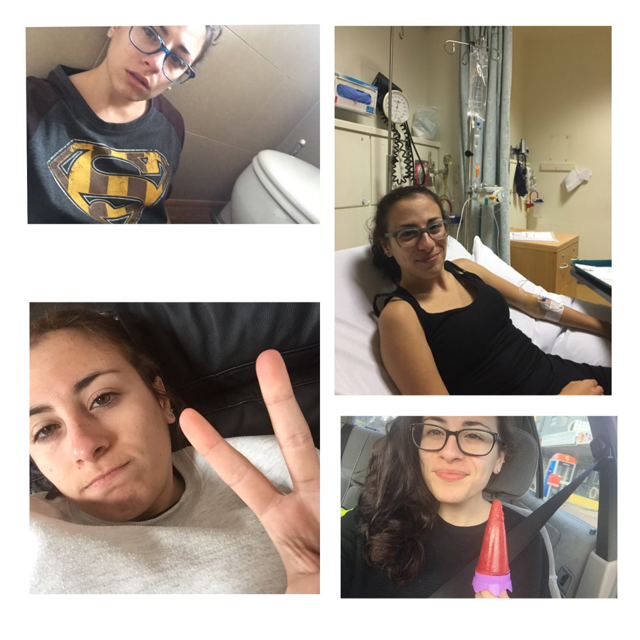 Cass Reitano’s Story: But, you don’t look sick! Cass: (thinks to self) What progress have we made? With Invisible and Chronic Illnesses we tend to lose sight of how much progress we have actually made, as we live with pain and other symptoms every day. I know that I personally still walk around feeling saddened by how weak my body is. There is something inside of me that still cannot accept this, and thinks that if I am not back at 100%, then I have not made improvement at all. If we show on the outside that we are feeling slightly “better”, society automatically assumes that we are cured from our disease. They cannot understand that we still suffer, but have made slight improvements, or that we have learnt to manage our symptoms better. If you are having similar thoughts and are currently drowning in symptoms of your Chronic Illness, let me firstly tell you that you are far from alone, and it DOES get better. Now, I can see you all of the way here from my desk in Australia. You are rolling your eyes, you are shaking your head, you are sighing because you have heard that statement so many times before. You will tell me that I don’t understand, that I do not feel what you feel. I know how you feel, because I have felt the same way for almost a year fighting my own illness and inner demons, and my fight is FAR from over. I wanted it all to end, and have contemplated suicide more times than I can count on two hands. I saw no reason for me to stay here in this world if I had to continue fighting this way, being a guinea pig for Specialists all over the city, feeling this neverending loneliness. I was tired of the appointments, and the dead-end answers I was reaching. I was even more tired of taking medication for no solid reason, the money coming out from my account and most importantly, hearing people tell me “it will get better”. But I’m here to tell you that it DOES get better, and I have discovered a way of proving it to you. I wish someone showed me this ten months ago, so I could’ve started learning to love and respect myself, and my body. I have made up with a term called Invisible Illness Progress Portraits (or IIPP) where you take a photo of yourself once a fortnight (or month), and store them in a folder on your laptop or print them off and attach them to a calendar or poster board. 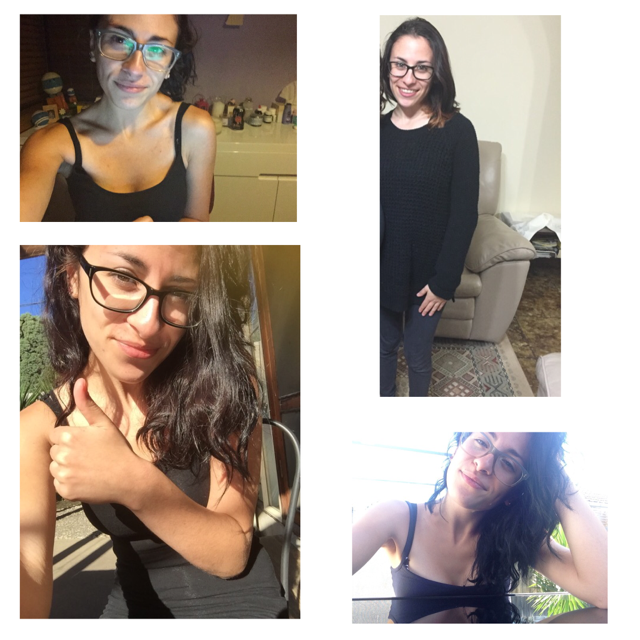 I write how I was feeling at the time of each photo, and obviously date each of them. I know that taking a photo of yourself during illness is terrifying and probably the furthest thing from being considered as “attractive”. We are obviously not going to look like Kim Kardashian in her published Selfie Book, and that is fine because THAT IS NOT THE POINT OF THIS. The point is to begin a collection where YOU can actually SEE the progress you have made, and so that when you are a year from now you can look back and realise how brave and strong you really were. And when Specialists like mine say “you have really made progress”, you can say “Yeah, I really have”. You don’t have to publicise it. Keep it as a present for your future self. If you do not want to take photos of your face, by all means take photos of something that you have conquered in the face of your illness. For example, a bigger meal portion, a trip to the Doctor, a walk to the bathroom. I myself have only begun this, so I don’t have many photos of myself during my rougher illness days, (that’s where my regret comes in) but looking back on the photos that I do have, makes me realise how far I have actually come. I have a few scattered over the months to show you, to give you an idea. I was severely underweight from living off of dry crackers, water and mashed potato, my skin all over my body was riddled with acne and I could not walk more than a metre alone. You would never have caught me wearing anything but an oversized jumper and loose leggings, as I was too embarrassed of my protruding bones, and I felt absolutely horrid every single day. A lesson I am still trying to learn is that Progress does not mean a drastic change. You have put on one kilogram or lost a kilogram. All of these examples may seem tiny, but they are still progress! So, take a moment and think about yourself. Tell me honestly how much progress you have made today, and it is okay if you can honestly say you have not made any. I know that when I look back at these photos, I realise I can walk better than ten months ago, and more than before even though it is nowhere near close to what an average person/the old me used to. I am able to eat more, without throwing up or feeling excruciating stomach pain. I have less nausea than before, and less frequent violent dizzy spells which accompany. As my images expand over the next few months, you will slowly see me wear a little bit of makeup, have the energy to straighten my hair, wear nicer clothing, and most importantly, smile. 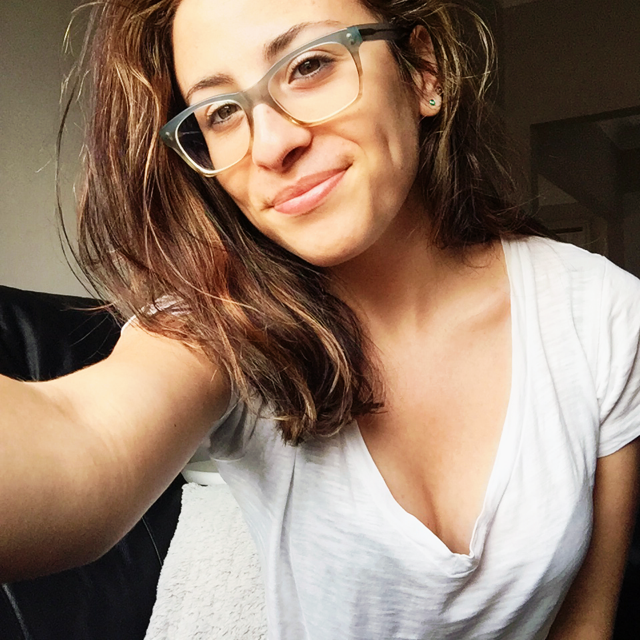 This is me from a few days back, and I felt really good for a change. In between these images, you will also know when I have gone backwards, because I am obviously not cured! You will see the days that were rougher than others; where I cried beside the toilet bowl, where I had a cold towel over my eyes to help my migraine, where I could only stomach liquids all day. And there you are again telling me that you don’t want to be reminded of such a time, that you want to rid the negativity from your mind. But if you don’t face who you were through the illness, how will you grow? How will you notice the change in yourself? I can promise you that you will appreciate yourself more for having battled through those awful days and conquering when you thought that it was near impossible. I would absolutely love to see your progress, (remember that Progress means gradual!) so if you are willing, send me an email via my contacts link! Alternatively, you could tag IIPP or link to IndisposedandUndiagnosed in your post, and I will check the tag as frequently as possible! Please, in celebration of Invisible Illness Awareness, join me in documenting your journey. Indisposed and Undiagnosed has quietly had an overnight renovation. We now have a cute little logo, and a site that is much easier to navigate your way through. To experience the full effect of the changes, please take a peek on a laptop or computer! I would like to thank my followers for your endless support and love. I have received many emails (through my current darkest of times) describing me to be the voice for those who are unheard, hurting and also lost in illness of all kinds. A Chronic Illness blog must shine a light on the positives and negatives. In order to spread awareness, we must share an accurate account of our good and bad ordeals. They may be terrifying to write and read, they may also be incredibly depressing, but they are spreading awareness. We are here, we are fighting, we are waiting, we want to be heard. I am appreciative of your concern over my wellbeing, every comment I receive, every email I read. I’d like to begin by saying that not being able to work due to illness is no walk in the park. I worked and studied fulltime prior to getting ill, you know. I was never one to take sick days unless I had something horribly contagious. I would much rather be able to come home and say “I am so tired from working today”, rather than wake up and go to sleep with the thoughts, “I’m tired of being sick, poor and absolutely useless”. I don’t appreciate the rolling of eyes when I tell you I am receiving a government payment. Do you think that I enjoyed grovelling at the feet of the Government, to earn in a fortnight, half of what I earnt during my past fulltime job? And believe me when I say that they didn’t just hand over the measly income to me. I had to fight for it. I had to print off every test result I’ve had over the past eight months, and get professional letters written from every Specialist I am currently seeing. And, these letters didn’t say “Cass is quite ill and unable to work. Please give her money”. They were detailed, some more than three pages, explaining every symptom I have and how it effects my ability to be mobile. And where does this money go? You won’t see me spending it on a new wardrobe, or eating lavish meals. I pay for medication, appointments and tests. I find the question, “What do you do all day?” incredibly offensive. I look after myself because I am in pain majority of the day. Yes, I sleep, because I am exhausted from feeling nauseous and aches throughout my body. Please don’t think that I have a beauty sleep of ten straight hours. I usually go to sleep and wake up every two hours from a nausea spell or stomach cramping. I am also in and out of appointments and tests. I am constantly trying new medications, struggling to eat. Eating for you is normal, natural. What if you simply… couldn’t anymore? What if your stomach refused to digest any food you put into it, and punished you with constant nausea and a weak body? I am stressing over the menu being appropriate for my stomach, and trying not to vomit in front of anyone. I wish I could walk, drive and catch transport independently, but I can’t at the moment so please don’t look at me up and down when you see me linking arms with my father, my mother or my friends. If your world was constantly spinning, you’d want something to hold onto too. The most hurtful thing about being ill, is the loneliness. I appreciate you saying, “If you feel better, come out with us tonight”, but I’m flat out going to say no, because firstly) my illness is chronic and doesn’t result in me feeling “better” because I cannot get “better”. Secondly) I might not feel comfortable being in a social environment with my symptoms. What happened to home visits and chats over coffee or tea? Too boring, I guess. I also don’t appreciate it when you tell me to do things. It’s not as easy as just doing these things. I have to take into consideration my pain, my other looming symptoms, and obviously my medication and strength. An hour for you is simple, an hour for me feels more like five hours. I know that you are busy with work, study and your new partner. You probably cannot imagine what it is like to have something like this swoop into your life and steal your health and independence from you. You probably think that you don’t have time to fit anything else into your schedule. So, try and understand where I am coming from when I say that it would mean the world to me to hear from you once in a while, and not once for my birthday with a cheap “hope you feel good” at the end of your post. Call me for five minutes. Send me a Facebook/text message that shows a real interest in how I am feeling, instead of a “hey”. Come over for half an hour. I cannot tell you how much it would mean to me. Whilst you are achieving your dreams and falling in love, travelling the world and having you-time, I am stuck here with this illness and it is depressing. It is really depressing, and incredibly lonely. I am not asking for money, a meal, a gift. I mostly just want someone to talk to sometimes. Anything else is a bonus. I’d like to think that if anything happened to you, something of this magnitude, I would do whatever I could to brighten your day, no matter how busy I was. Now that I know what this feels like, I am incredibly understanding. Maybe you won’t ever understand. But, I wish you would try to. A little bit of consideration goes a long way. Finishing off for the night, please don’t take your health for granted. Don’t abuse it, because you could wake up one day like me, with an upside down world and no control over it.